Of the four fundamental forces I have spoken to you these days I lacked the last, gravity. And is that gravity is the most interesting since it is the force of attraction between the elements with mass. The difference, we can see, between gravity and the rest of fundamental forces (except electromagnetic) is that their “presence” or where we can see that they act is at “microscopic” level while gravity (and electromagnetic) their scope Is much larger, macroscopic, universal. For this reason, it has not only been known for a long time but is very well calculated. Come on, there’s classic version, relativistic version and quantum version. That touches all the currently known sticks of physics. 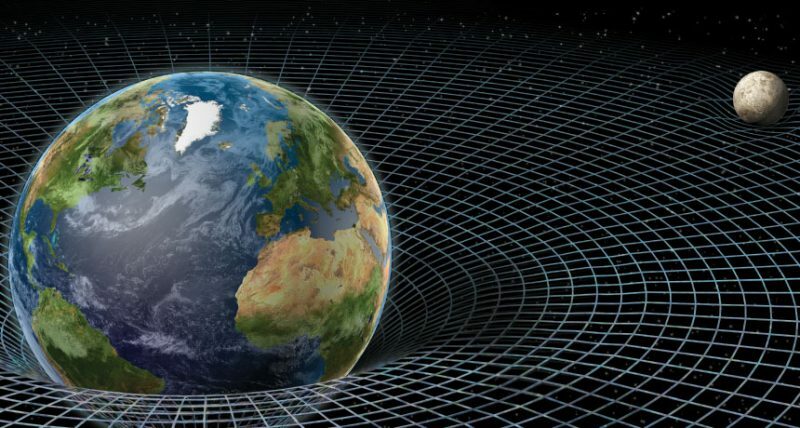 While the classical version of gravity explains how bodies interact with the belief that the velocity of propagation of gravity is infinite (instantaneous), the relativist tells us how the influence of gravity travels at the highest possible speed The light) and quantum treats it as a wave, giving facts like that gravity can be the vibration of a string (or several or a conjunction of several) and what we “see” is the influence of that string in our geometry Which would indicate that the force of gravity may be greater in other geometries and therefore “explaining” why black holes are mass aspirators. Read all the appropriate quotes. Geometries. Those things so forgotten, that people pass from them and that mathematically are so interesting. Geometries explain many things, from simplifying (if you know how to transform and correctly do from one to another) properties and characteristics of objects and particles to the interactions between them and explain how things work to be the basis of these. Not knowing what the correct geometry is and therefore not knowing the properties and functions that apply leads to a not complete knowledge of, say, gravity. That is why, although we see, in part, how it works, we do not fully know precisely what it is. All thanks that we do not know the geometry and topology of our universe and if we only know some properties that are valid for different topologies and therefore for different geometries. Therefore, if you want to know more about gravity I strongly recommend you first have a great base of geometry and topology. To begin with, it is good to read the Topology (Featured Titles for Topology) and then tell them to Calculus: One Variable Calculus, with an Introduction to Linear Algebra v.1: One Variable Calculus, with an Introduction to Linear Algebra Vol 1 and Vol 2 y, Of course, look at F. Firk’s Essential Physics to have basic notions. If you are interested in gravity (a subject that I am passionate about, to deny it), it is good to take a look at Gravity: Newtonian, Post-Newtonian, Relativistic, a book that, as its name implies, covers all concepts Of classic gravity and relativistic of very simple form to follow with the An Elementary Introduction to Quantum Gravity and Spinfoam Theory focused to the quantum gravity of loops, of which “I am a believer” or the First Course in Loop Quantum Gravity that to begin with My “creed” can help you understand, at least, the basis of the whole core. And if, in the end, as it seems that I’m entering the bug, you end up looking at the relationship of gravity and cosmology, it is very interesting to review the Quantum Cosmology: A Fundamental Description of the Universe, a modern “introductory” book that will help you understand The Hilbert spaces and above all because the universe is isotropic and heterogeneous. What a “toston” (a boring, in spanish) I told you today! But especially for my recommendation of books, although reading is fundamental to know.